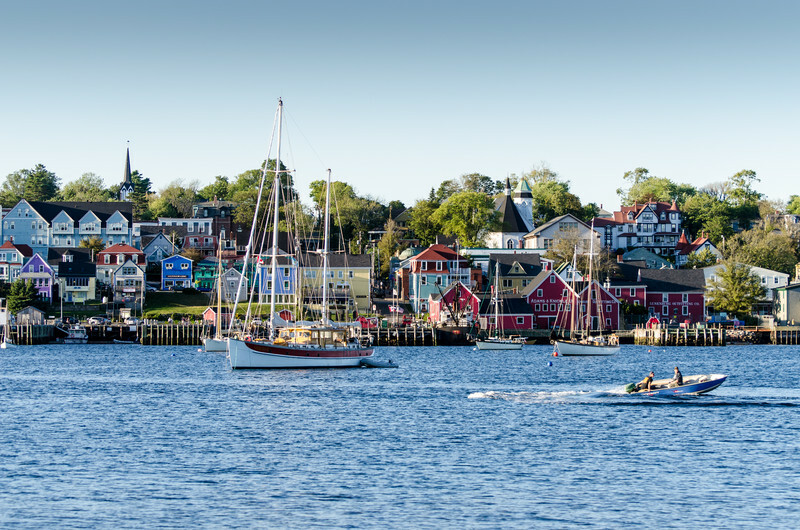 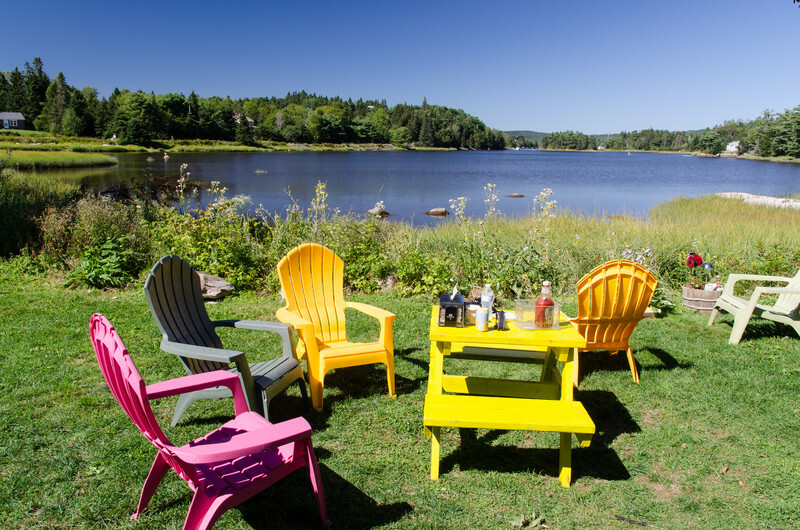 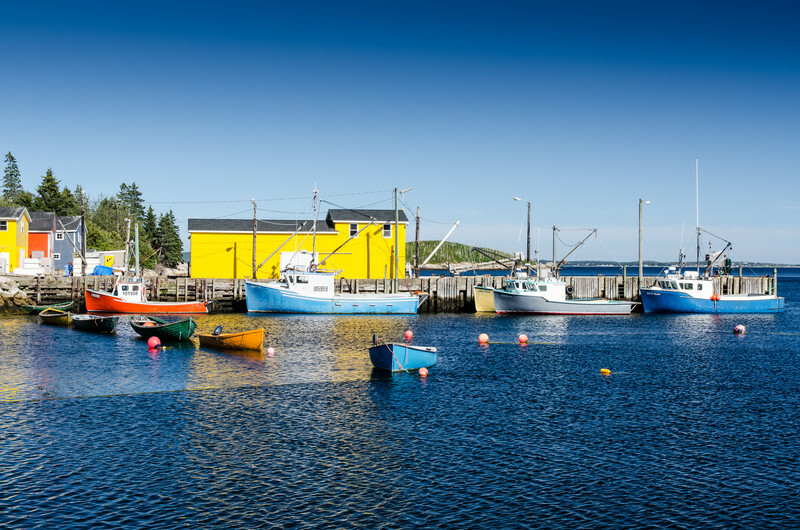 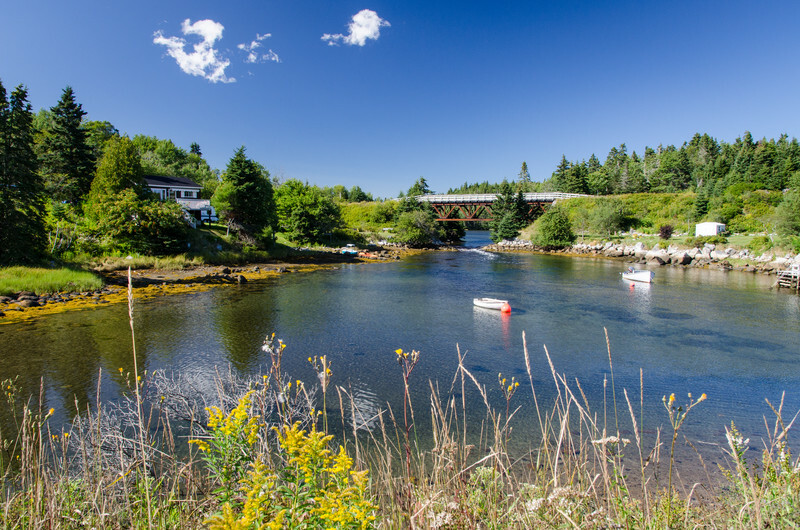 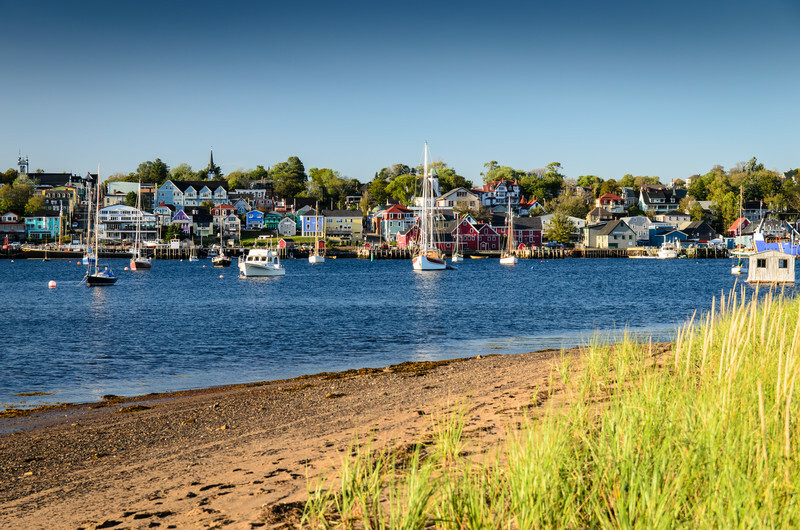 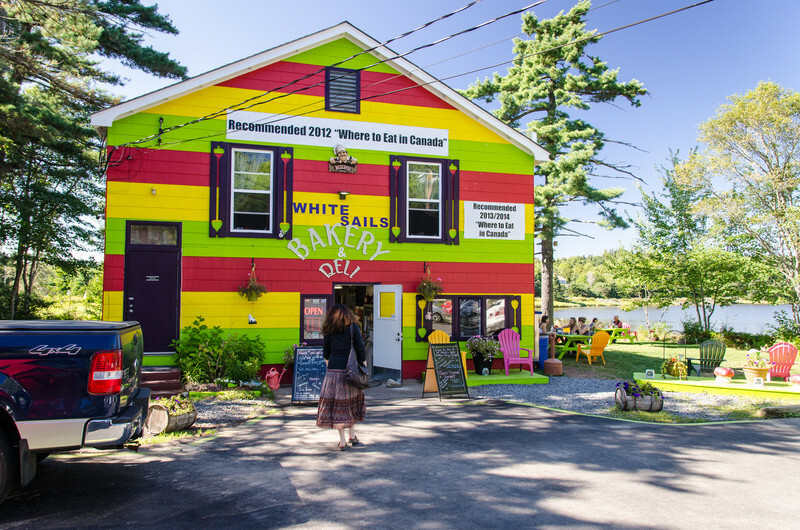 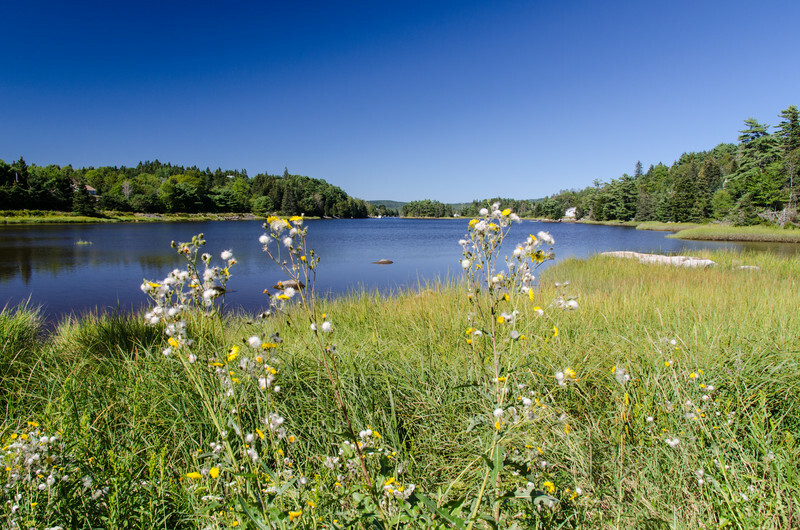 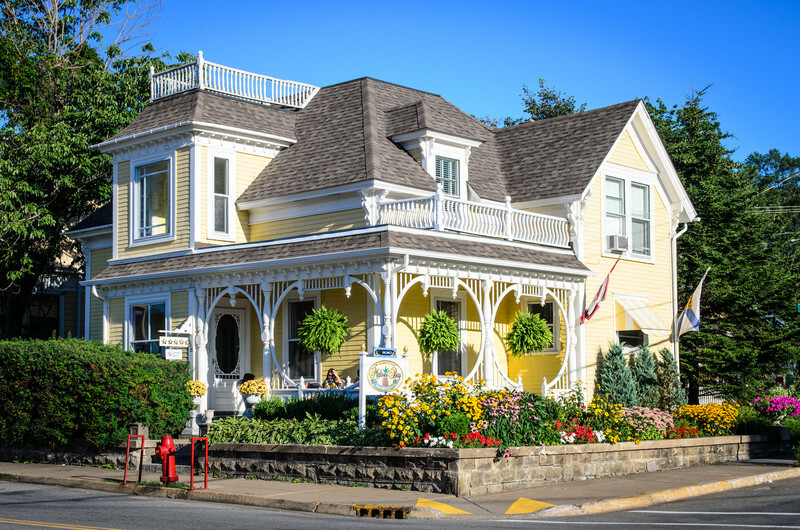 We continue south from Halifax along the Nova Scotia shore past idyllic Peggy's Cove, around St Margaret's Bay, on to colorful Lunenburg and finally back across the Bay of Fundy. 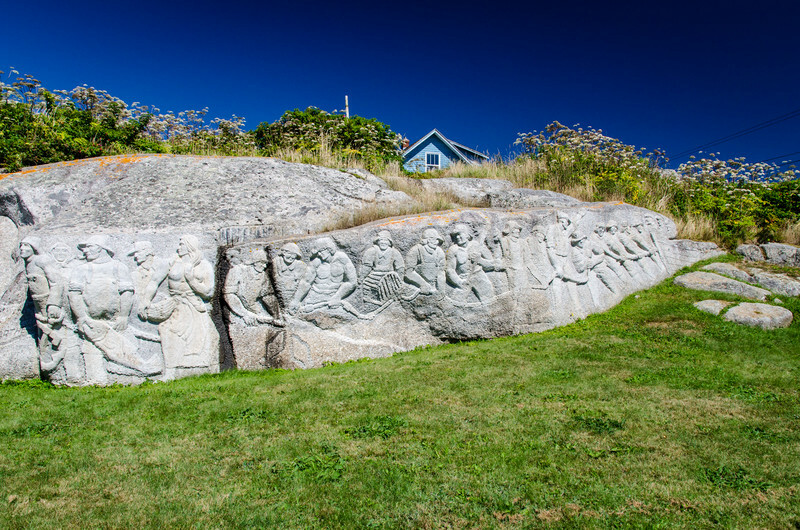 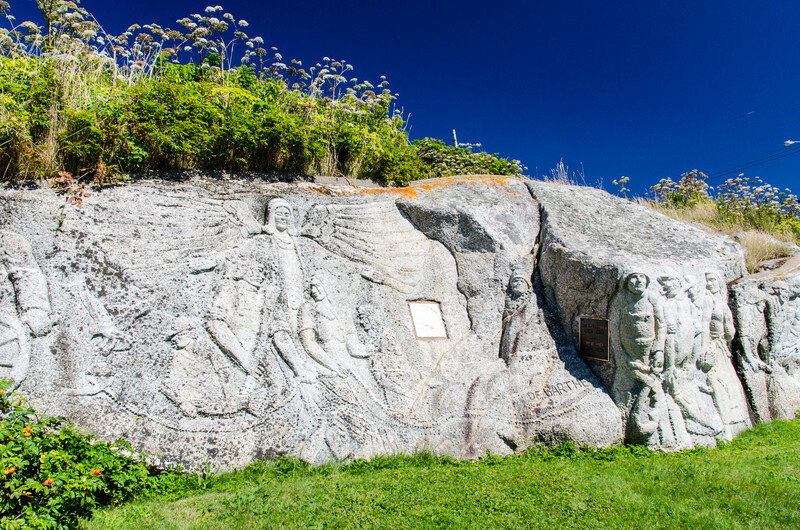 William E. deGarthe, one of Nova Scotia's most beloved maritime artists, created a 30m (100ft) carving of 32 fisherman, plus their wives and children, as they are looked over by a guardian Angel, using a granite wall as his canvas. 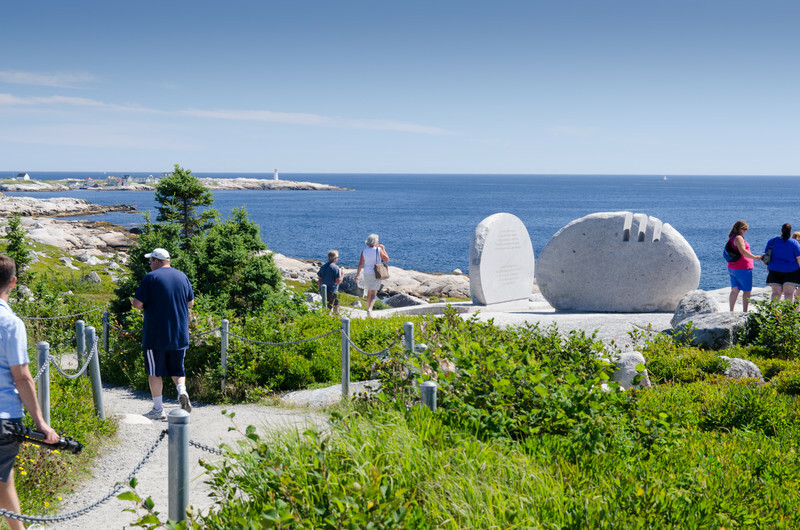 The carving is the centrepiece of the William E. deGarthe Memorial Provincial Park, located in the village of Peggy's Cove. 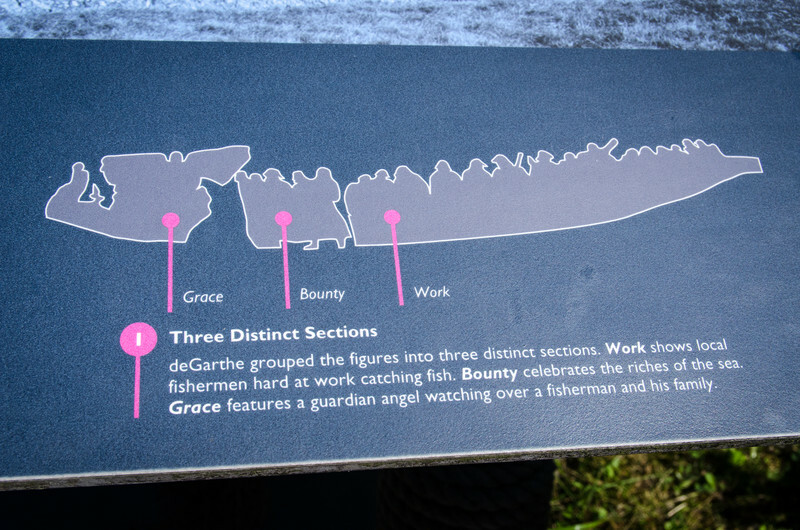 Unfortunately, deGarthe passed away before the memorial was completed, but it is still a must-see. 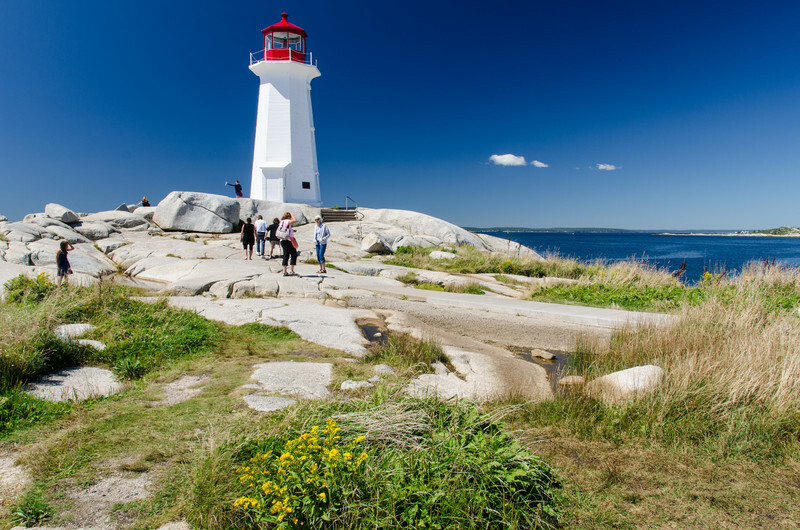 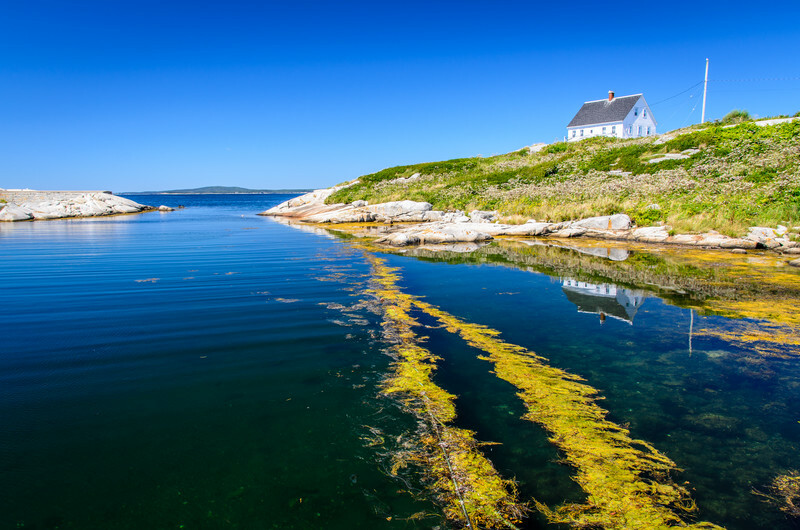 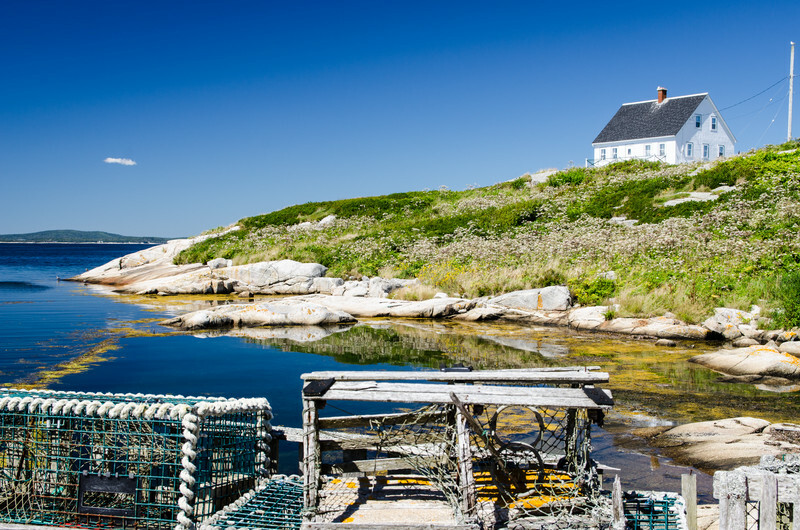 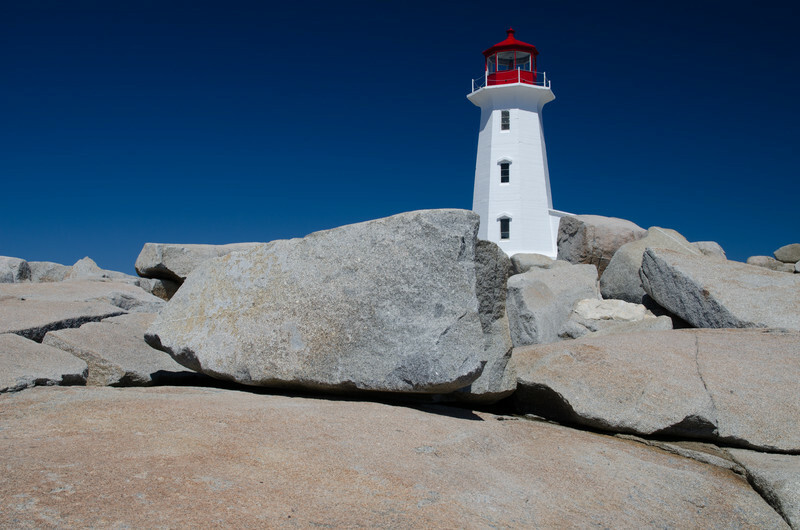 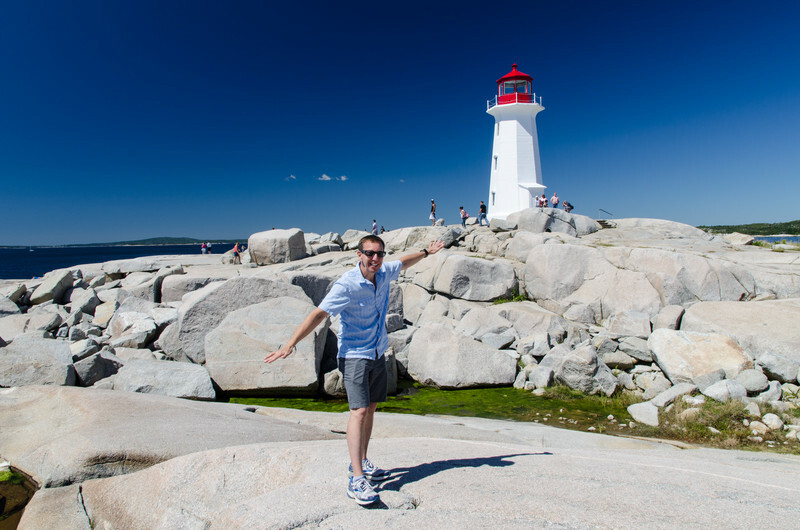 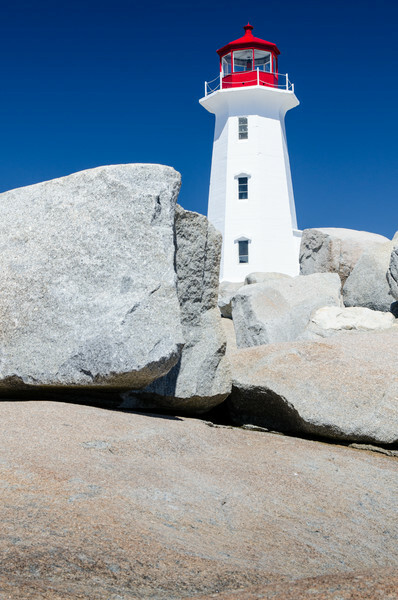 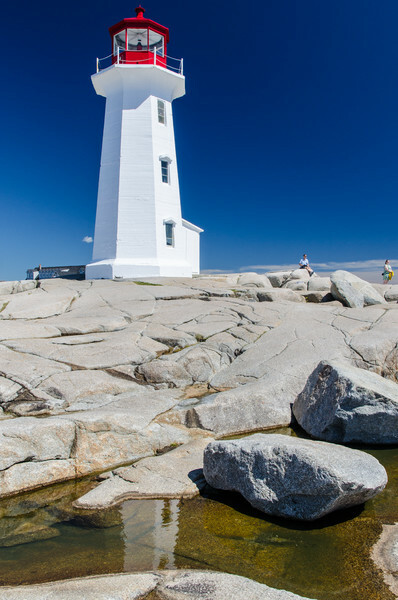 The Peggy's Cove Lighthouse has been guiding sailors home since 1915. 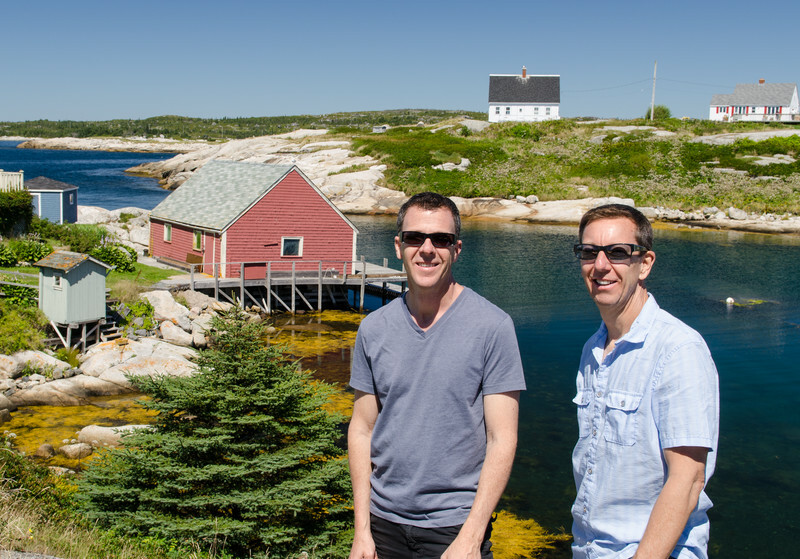 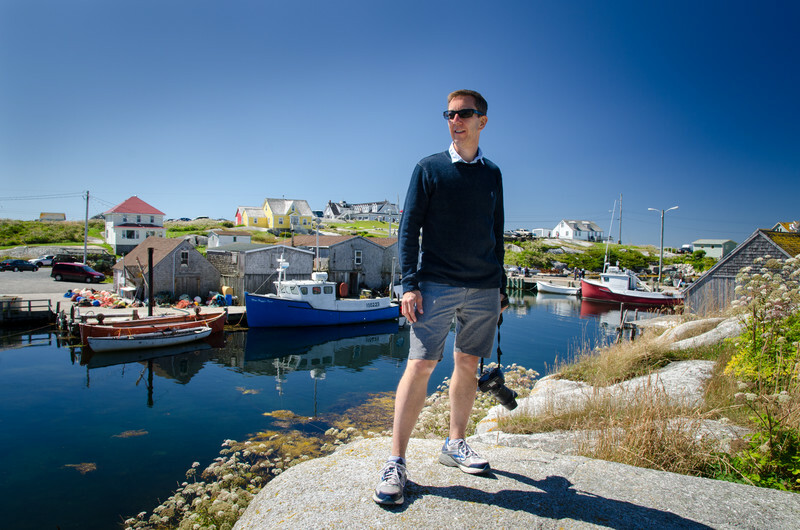 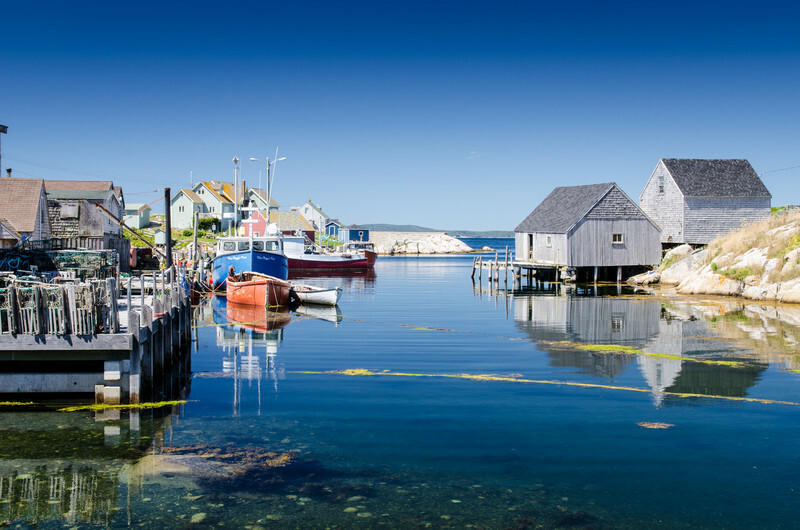 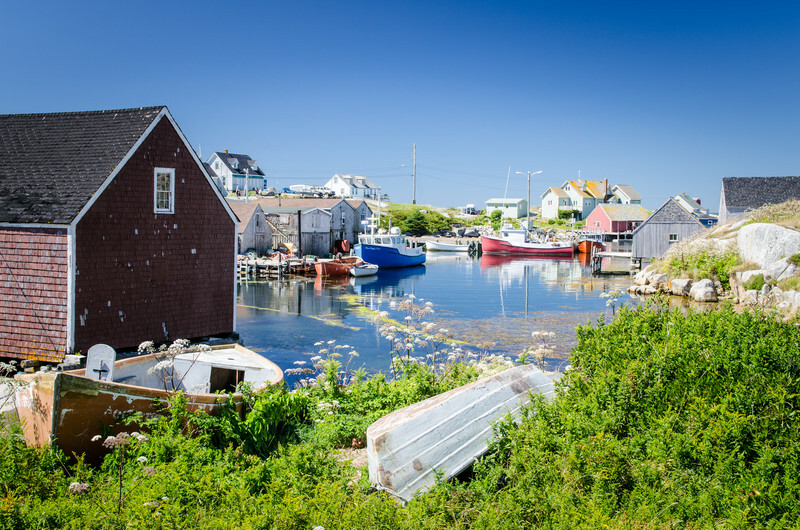 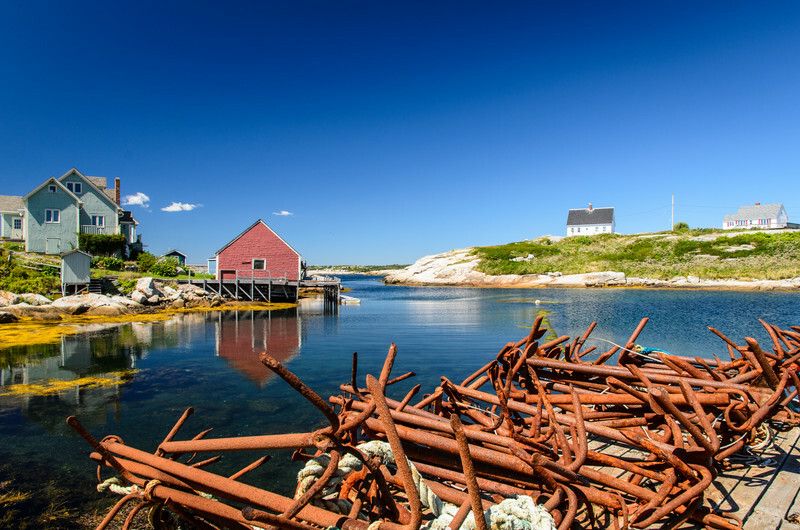 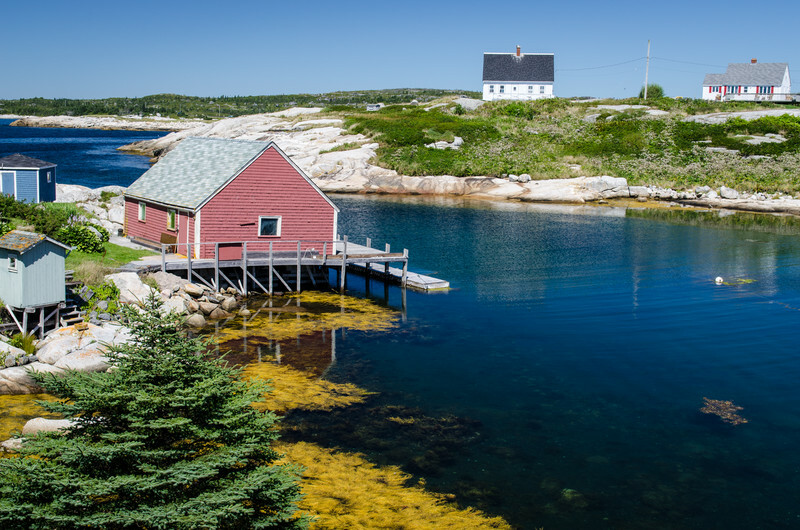 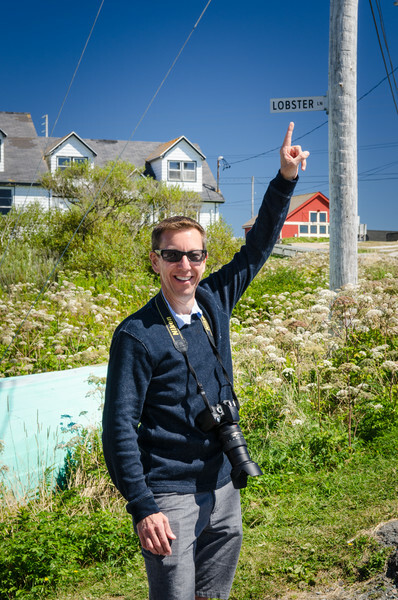 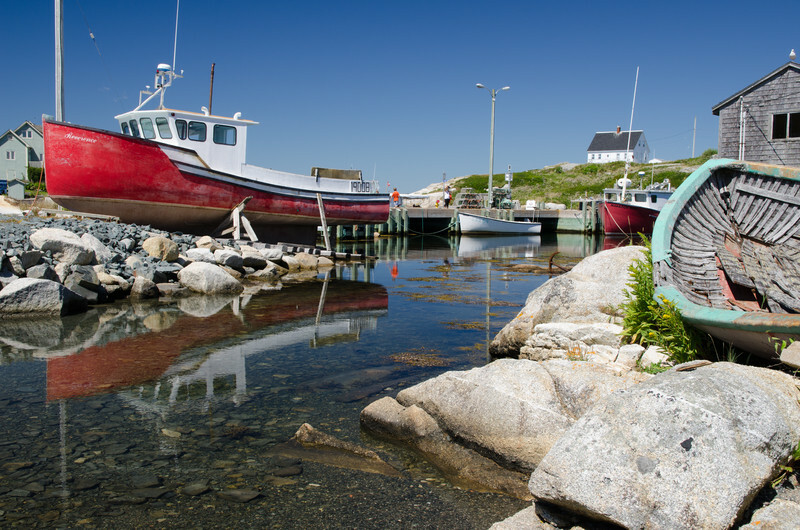 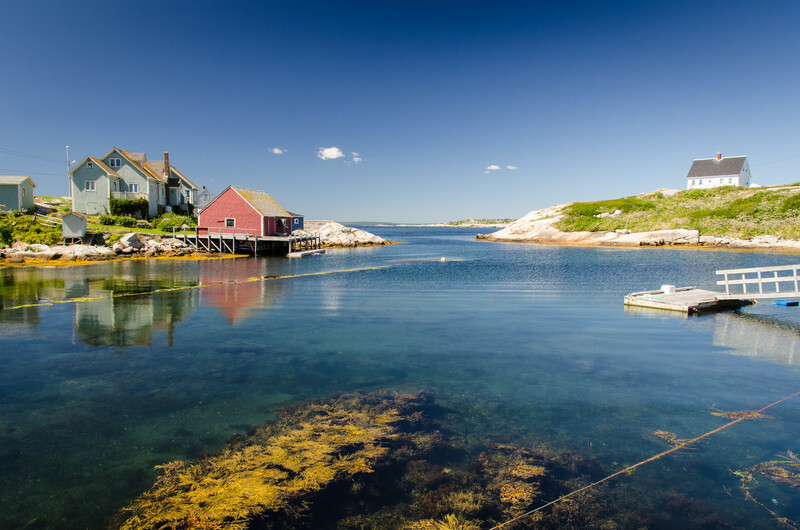 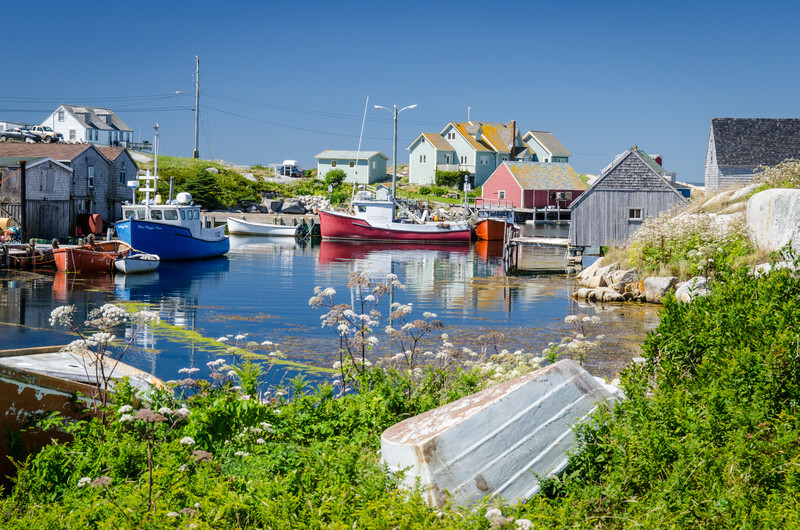 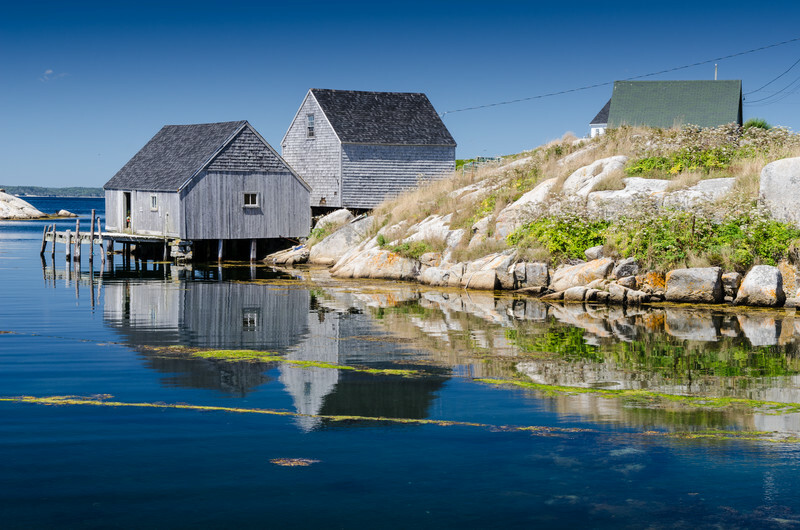 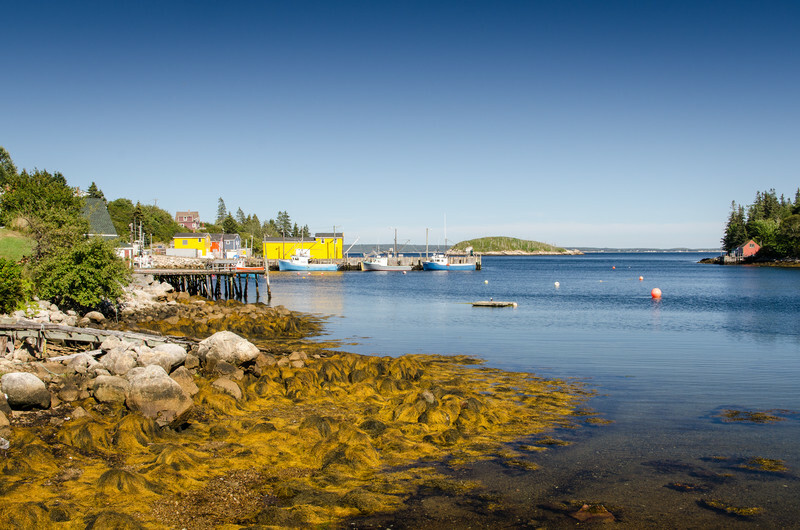 Peggy's Cove is still a working fishing village. 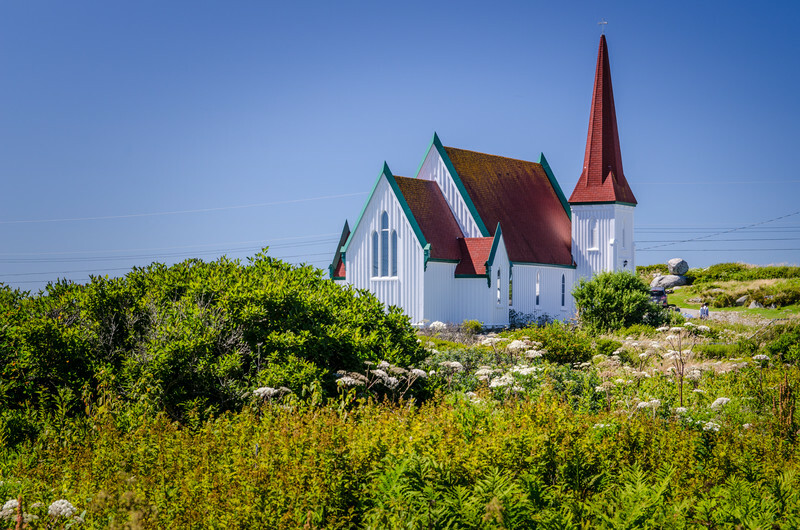 St John's Anglican Church, Peggy's Cove. 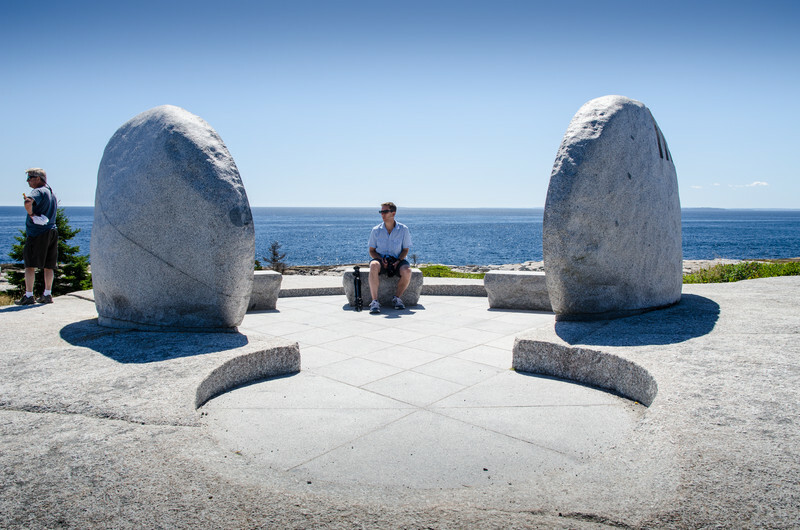 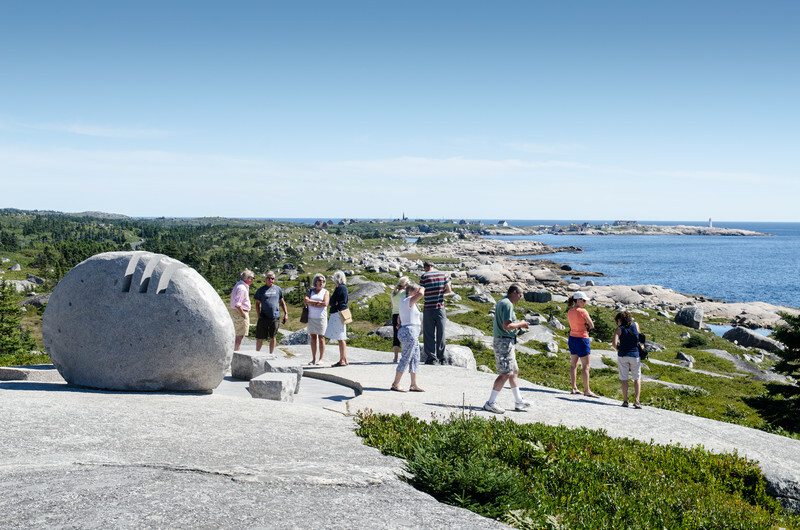 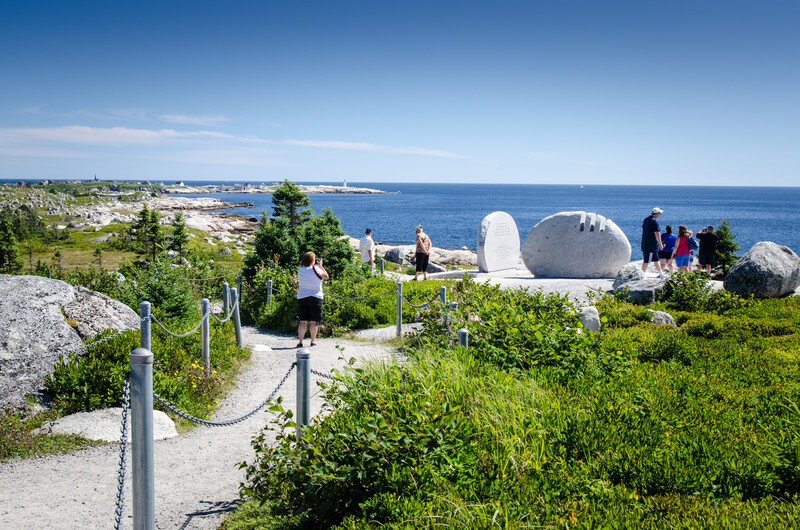 The Swissair Flight 111 Memorial with Peggy's Cove barely visible in the distance. 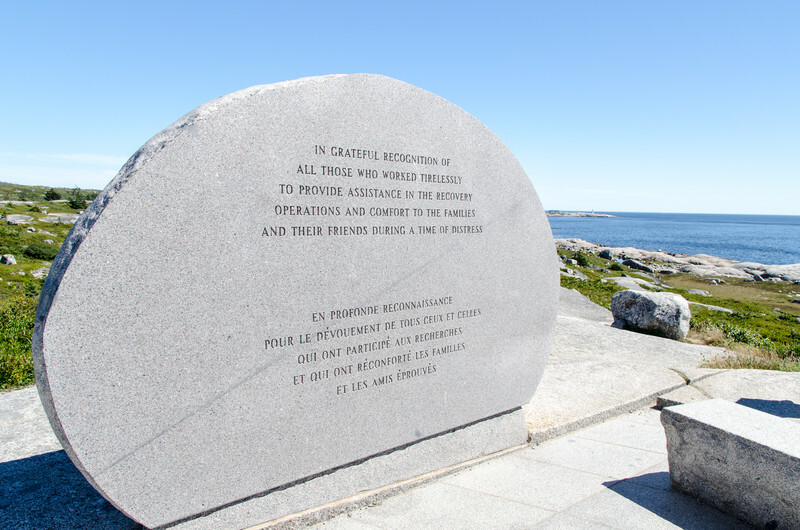 Swissair Flight 111 was a Swissair McDonnell Douglas MD-11 on a scheduled airline flight from John F. Kennedy International Airport in New York City, United States to Cointrin International Airport in Geneva, Switzerland. 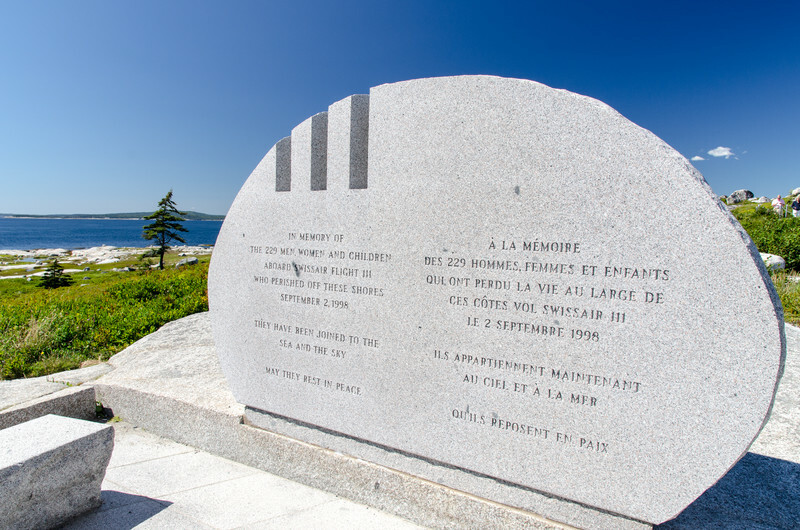 On that fateful day of 2nd September 1998 the aircraft used for the flight, crashed into the Atlantic Ocean southwest of Halifax International Airport at the entrance to St. Margarets Bay, Nova Scotia. 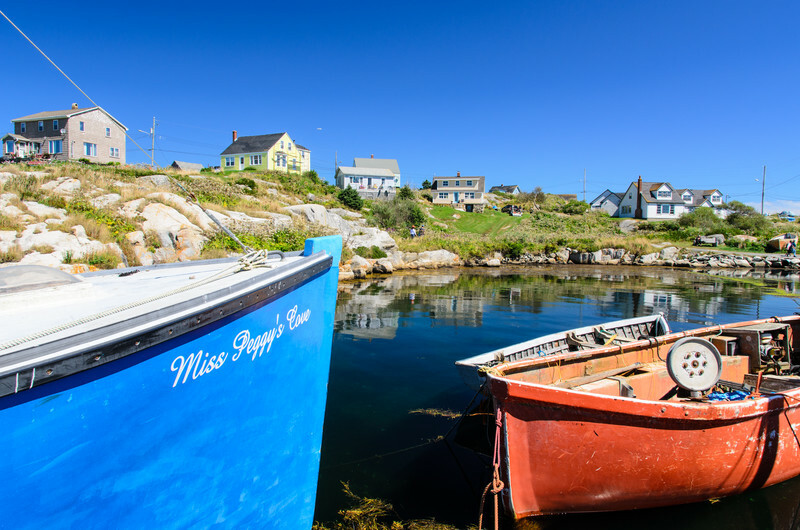 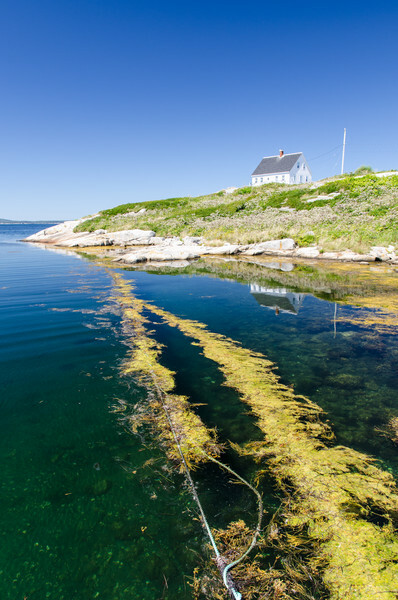 The crash site was 8 kilometres from shore, roughly equidistant from the tiny fishing and tourist communities of Peggys Cove and Bayswater. 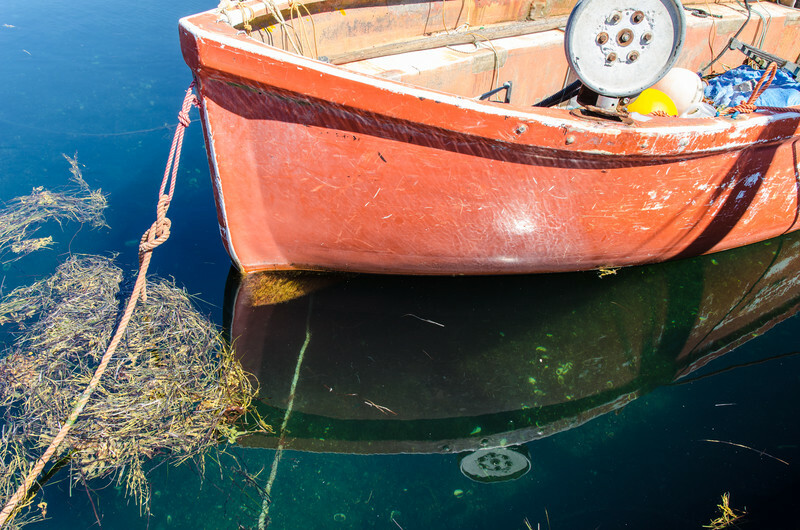 All 229 people on board died. 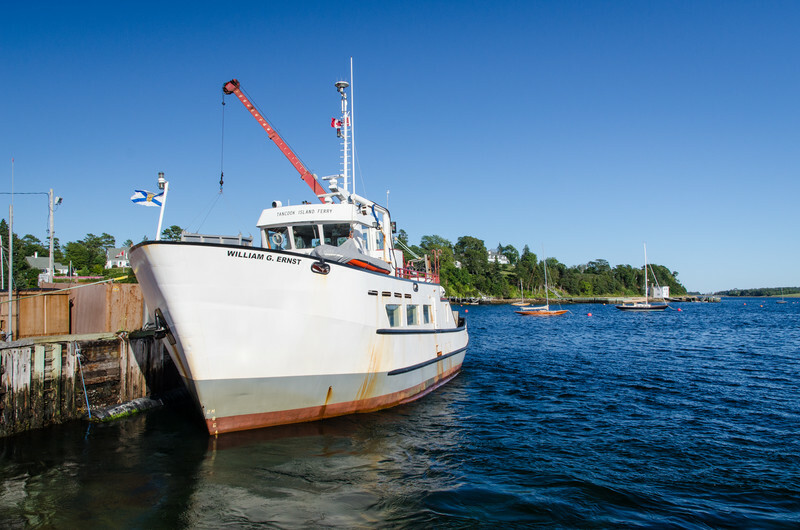 The Tancook Island Ferry unloading freight in Chester. 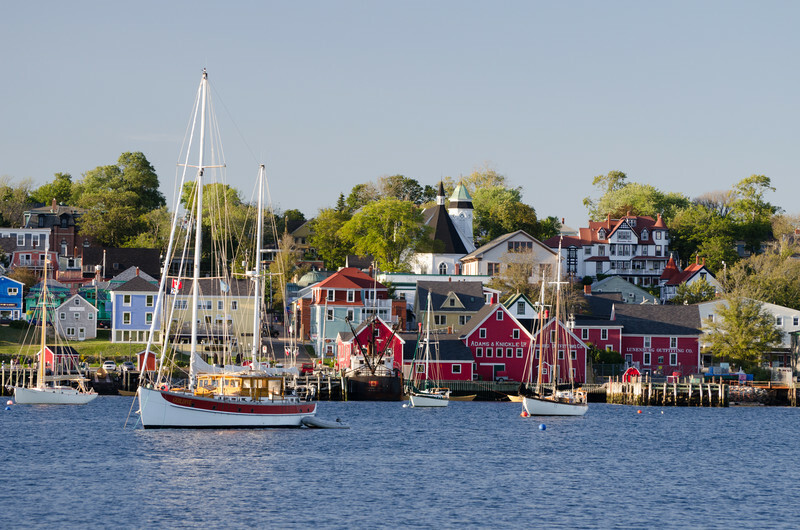 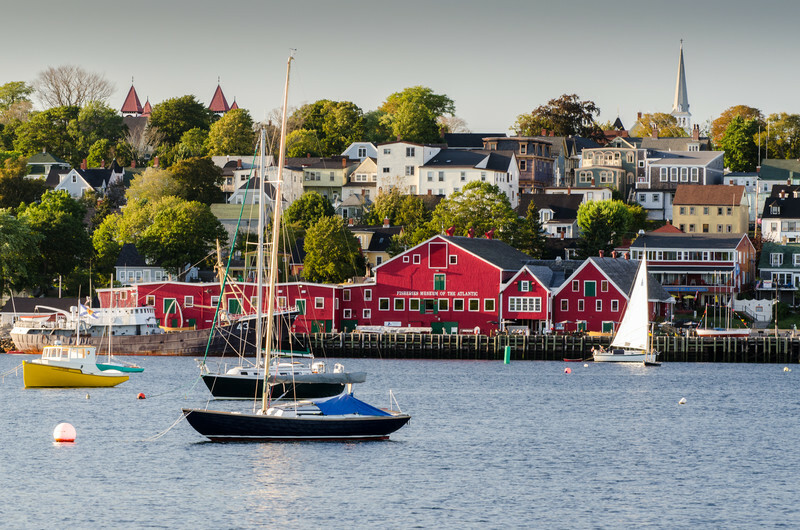 Lunenburg from across the harbor. 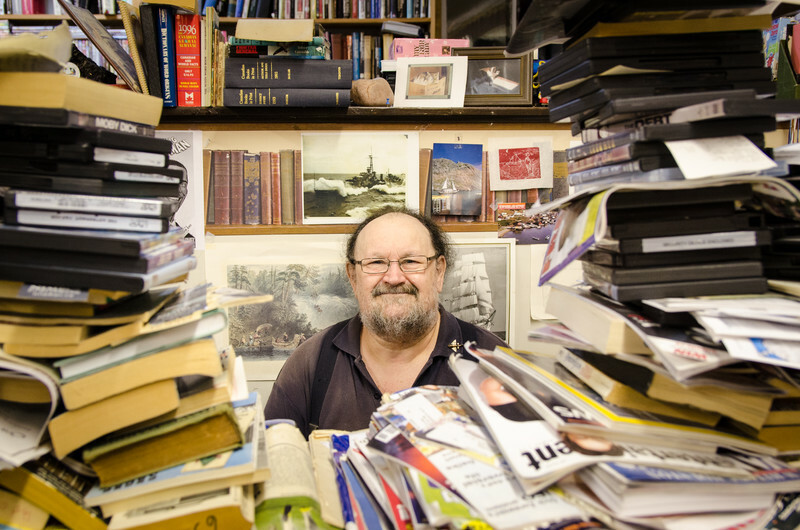 Chriss Webb, the proprietor of Elizabeth's Books. 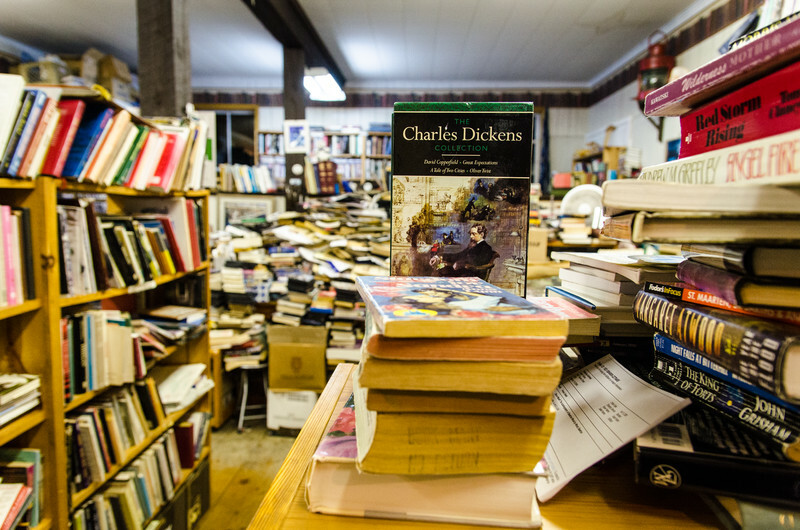 Books are stacked everywhere, it's a little chaotic, but fun. 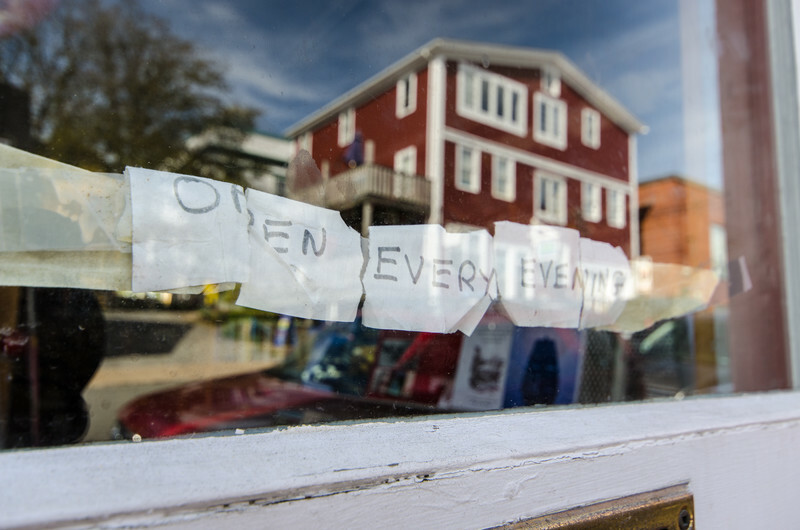 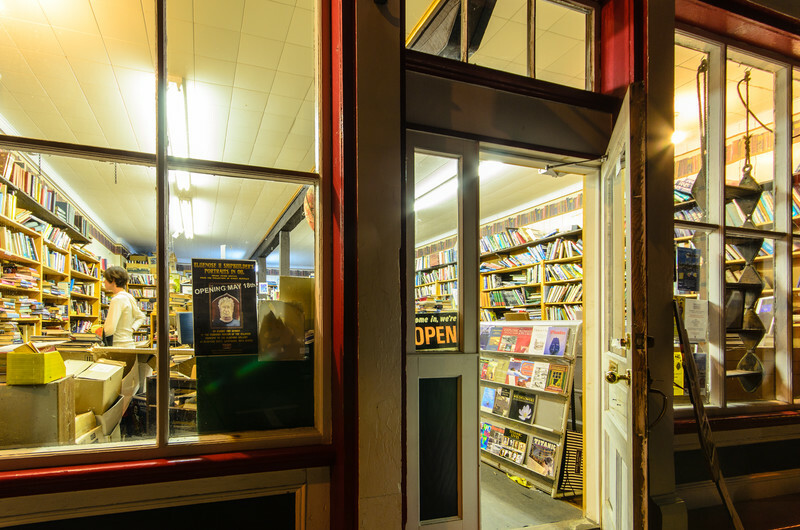 The hours are clearly posted at Elizabeth's Books in Lunenburg. 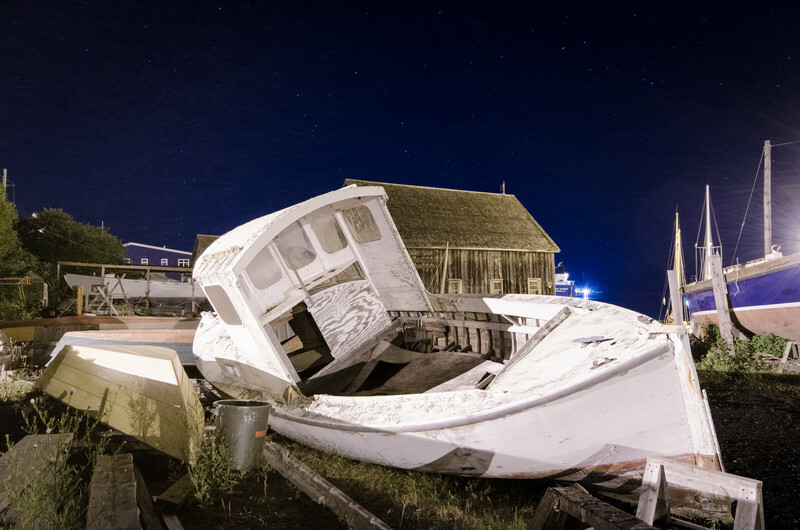 Abandined boat, Lunenberg waterfront by moonlight.